Danish State Railways, Swedish built diesel electric, A1A A1A, Class MX1021, No. 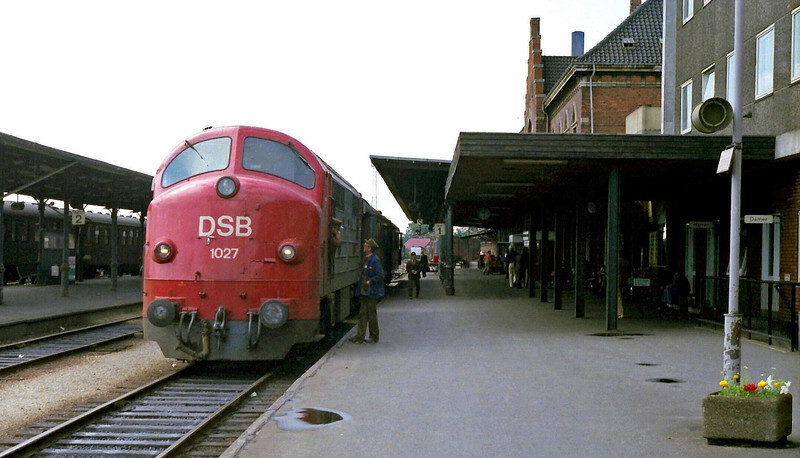 1027 at Esbjerg on 8th June 1978. These locos were built in 1961 by NoHAB.